Technology has defined this world from every angle. There was a time when people used to visit PCOs to make important calls but today, almost every individual has his personal mobile phone. Although, the world of mobile phone has seen many transformations, the most significant among them is the concept of ‘dual-sim’. Dual sim smartphones have become the part & parcel of our lives that allow us to have the power of two phones in one. The best thing about using a dual sim smartphone is that it gives us freedom from any worries about not having enough balance or network facilities to make calls or messages. Moreover, a dual-sim smartphone also frees us from the burden of carrying two phones in our pocket which at times turn out to be really cumbersome. Today, every mobile phone brand has identified the demand and popularity of dual sim smartphones amongst the masses. In fact, dual-sim facility has become a regular feature in almost every mobile phone expect for the feature phones. 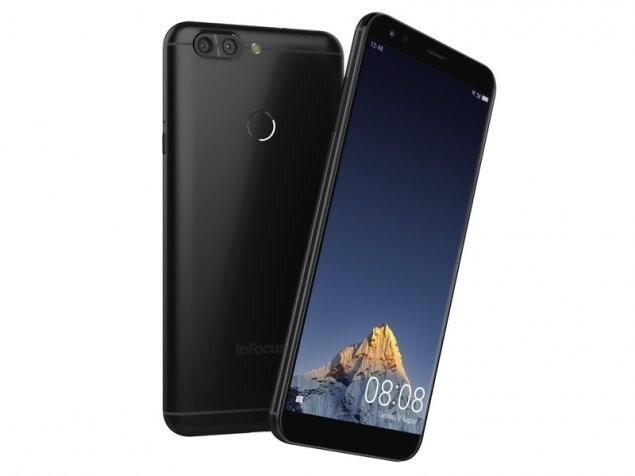 Infocus is one amongst those mobile phone brands in India that has a large portfolio of dual-sim smartphones that are stylish, modern, and efficient. So, here are the top dual sim smartphones from Infocus that are popular amongst the Indian masses and which should be considered by you if you are getting ready to buy a new dual-sim smartphone. 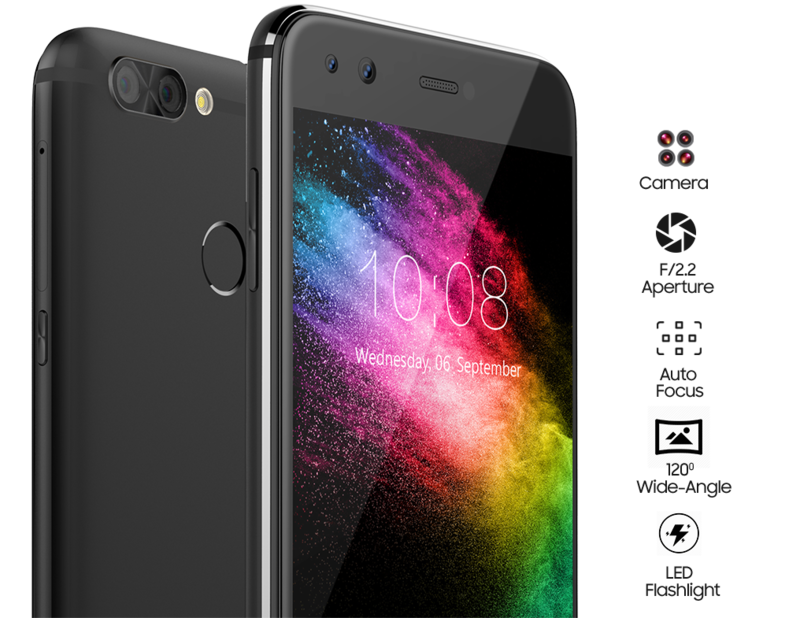 The latest addition to smartphone line-up of Infocus is the Infocus Vision 3 Pro. This dual-sim gem that runs on Android v7.0 Nougat, comes with the most advanced features which a smartphone of today’s age. 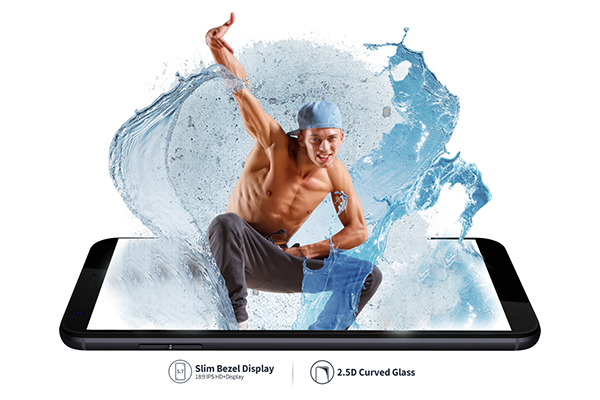 To start with, it has a 5.7-inch HD+ Full Vision Display with an aspect ratio of 18:9 for an enhanced viewing experience. On the camera front, it has a 13+8 MP dual rear camera, having auto focus with digital zoom, FHD video Recording, and Bokeh effect. For beautiful selfies, the phone has a 13 MP front-facing camera. Powering the phone’s efficiency with a 1.5GHz MediaTek MTK6750T octa-core processor along with a massive 4GB RAM. 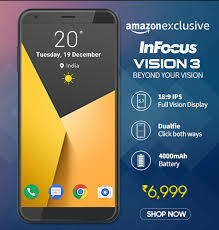 With 64 GB of internal storage, Infocus Vision 3 Pro lets you store innumerable images, download favorite movies & songs, and much more without any problem of shortage of storage. There is a 4000 mAH battery that will allow you to easily pass the day without any hiccups on a single charge. Apart from all the above features, the most significant one in this phone is the Face unlock feature that makes your face your ID. Available on Amazon at a price of Rs. 10,999, you can buy this dual sim smartphone by clicking on this link https://www.amazon.in/dp/B07C5YXX48. The best thing about this dual-sim smartphone from Infocus is the presence of dual cameras, both on the rear (13+8MP) and as well as on the front (8MP+8MP). The dual rear camera also has additional features like auto focus with digital zoom, HD video recording, and bokeh effect. With a 5.2-inch HD display, this phone is powered by a 1.5GHz MediaTek MT6750 octa-core processor along with 4 GB of RAM. The phone has an internal storage of 64 GB RAM that can be expanded upto 128 GB along with a 3000mAH lithium-ion battery. You can buy this phone for a price of Rs. 9999 by clicking on this link https://www.amazon.in/dp/B07531G9BD?tag=infocusindiasnap4-21&th=1. ← Why is Android the Best Mobile Operating System for your Smartphone?